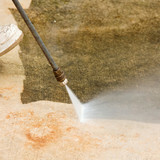 Natural stone requires professional stone cleaning, not just the occasional mop and bucket. The porous materials that stone, such as marble, slate and travertine, is composed of needs special tools and knowledge to properly clean and preserve its natural beauty. 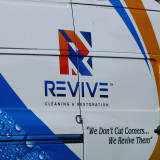 Improve the look and overall health of your home by hiring a Richmond stone cleaner to come in and professionally deep clean your floors, counters and more. What can I expect from a professional stone cleaner in Richmond, CA? Find a Richmond natural stone cleaner on Houzz. Narrow your search in the Professionals section of the website to local stone cleaners in Richmond, CA and read reviews and ratings to find one that fits your needs.